Cooking classes for kids in Tuscany! Do you want to make homemade pasta and bread in Tuscany? Do you want to experience our kids holidays, where we teach them how to cook? Leda joins us on our organic path, by only using our wheat flour, our extra virgin olive oil, and our own yeast. We’ll explain the usage and properties of each organic ingredient and you’ll have a yummy food tasting at the end! Here are three different kinds of family cooking classes, but feel free to contact us to ask for custom made cooking classes or kids holidays. Leda has a Fattoria Didattica (teaching farm), which means she’s officially allowed to teach our Tuscan traditional food via special cooking games. 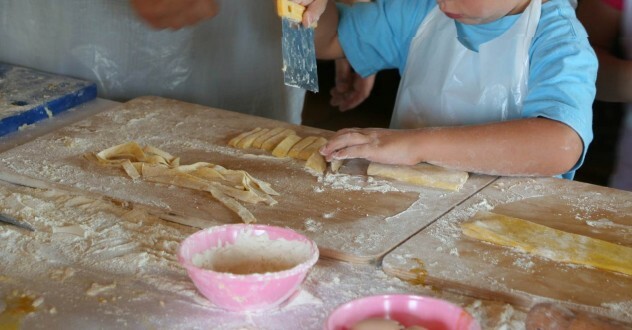 This is a particular cooking class ONLY FOR KIDS, to leave you some time for a romantic walk in one of the borghi (medieval towns) nearby, art tours and museum visits. We start at 10:30 am and finish at 1:30 pm. 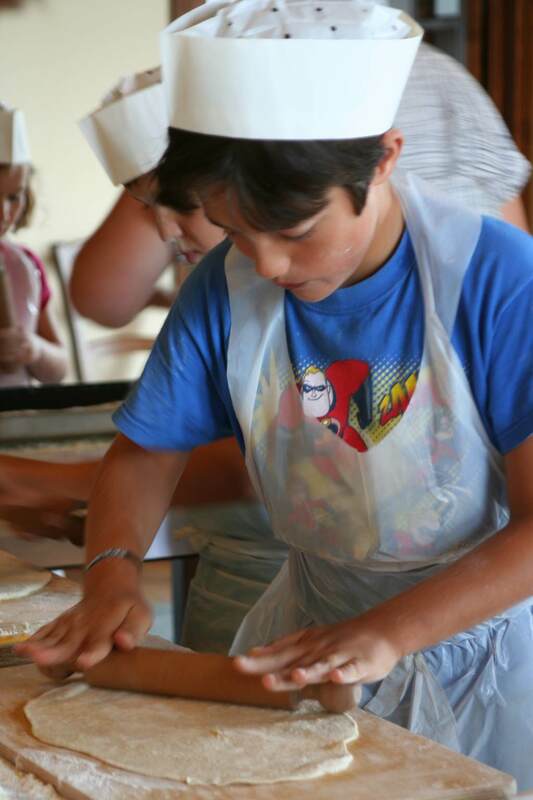 Your kids are going to spend the whole time with us making pasta, pizza, cookies or bread. You choose the food, and we’ll make it with them! In the kids cooking class, a special home-made snack is included for them and after, they’ll bring back whatever food they made during the course. As above, this is a kids cooking class. They’ll cook your lunch with us: all you have to do is sit down and enjoy eating it in the countryside of Tuscany. We’ll be using our organic and kilometre zero products, as well as water and wine. As we believe in eno-gastronomy values, there’s no pleasure like teaching simple and traditional food in Tuscany. We find this a good educational option, and every time we do, families from all over the world say they feel like they’re part of our Tuscan community. 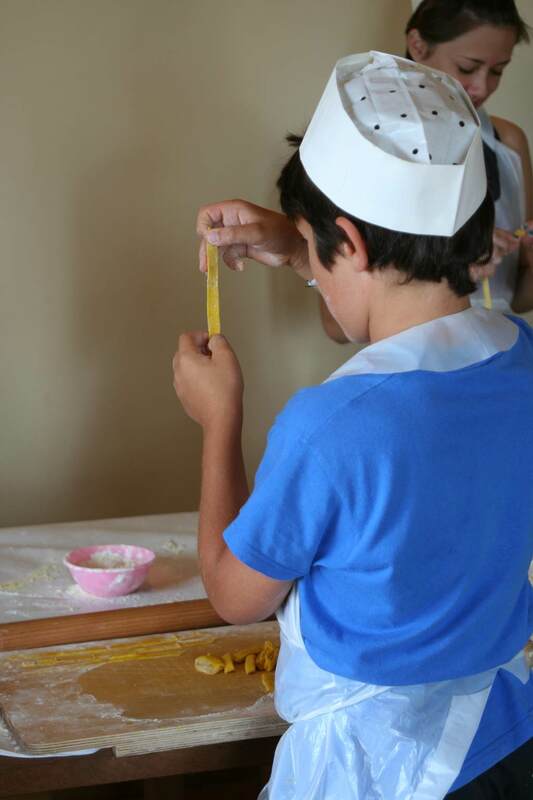 Kids and parents cook a traditional home-made Tuscan lunch together. We usually make bread, pizza, focaccia, or pasta, using our organic ingredients. Afterwards, you can sit and enjoy your own home-made Italian lunch together with your kids. It’s a great way to spend time for families, with even the most difficult kids. The power of making things together is incredible, and it’s a part of our Tuscan roots. From April to October the courses are organize 1 times a week. From November to March the courses are organize by request. For specific or personal courses please contact us! 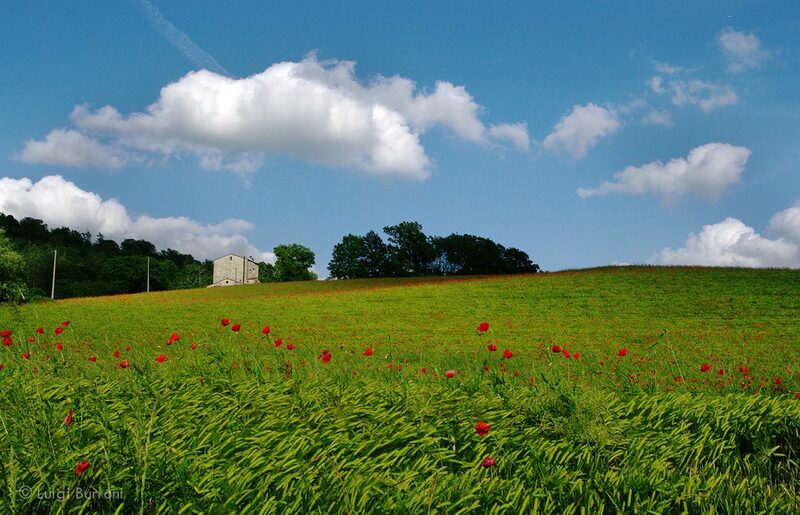 After all, we are in the most economic area of Tuscany, Valtiberina, out of the mass market tourism. As an example of sustainability in tourism, we’re offering experiential tours where the guests learn farming and making pasta and bread, pick olives and grapes, mushrooms and truffle hunting, enjoy tailor-made green tours and craftmanship tours. We only employ locals and try to give a real sense of local lifestyle to tourists. Also through storytelling and working with local memories… so that they return home having had an amazing experience, without feeling like they have had to spend a fortune to do it! What are you waiting for? CONTACT US! Try our experiential tours in Italy… join our Tuscan tribe!